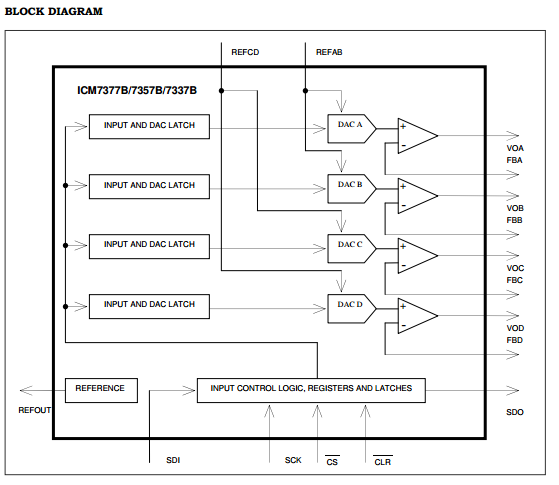 The ICM7377B is a Quad 12-bit Wide Voltage Swing Output Buffer DACs respectively, with guaranteed monotonic behavior. These DACs are available in 20 Lead QSOP package. They include adjustable output gain for ease of use and flexibility.